This serves as a brief explanation in setting up an in-house Radio Station complete with the necessary audio/video distribution system and also an option to setup a small size commercial radio station. This simple guide however is not meant for complete or detailed procedures. 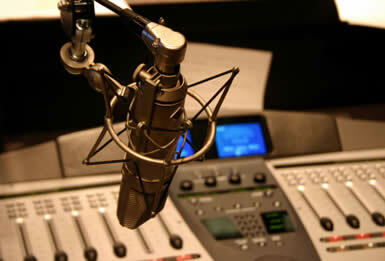 Setting up a commercial radio station involves many complicated aspects such as details engineering design, management structure, administration, program production and finances. Therefore a more thorough planning approach is required which involves complex broadcast planning and development. Furthermore it may also involve licensing issues as well as terms and regulations enforced by the current federal government. The following pages are presented in a manner that is short, simple and in bullet point format as not to include too many technical jargons. If you decides to proceed with the setting up of an in house Radio Station, it is advisable to consult a professional certified Broadcast Engineer as it may involves complex issues that need to be addressed accordingly so as to avoid unnecessary problems that may halt or jeopardize the whole project. 1. Respective Studios / Suites. Ideally the on air studio shall be acoustically treated or soundproofed (insulated observation windows, Insulated twin doors). Air conditioning vent shall be located away from the microphones. Suitable furniture shall be installed that are suited for studio environment. The size of the on air studio varies but ideally not less than 10 ft x 12 ft. You can have a choice to either be one-man op (the main presenter /DJ operates the main audio console desk) or have separate control room (with equipment and technician to operate the main Audio console). Ideally the Archiving/ Editing Suite shall be acoustically treated or soundproofed. Air conditioning vent shall be located away from the microphones. Suitable furniture should be installed to provide comfortable and relaxing environment. The size of the Archiving/ Editing Suite varies but ideally not less than 10 ft x 10 ft. In general, it operates as one-man op where all the audio equipment placed inside the same room. The producer shall operate the mixing console themselves. Ideally the recording studio should be acoustically treated or soundproofed. Air conditioning vent shall be located away from the microphones. 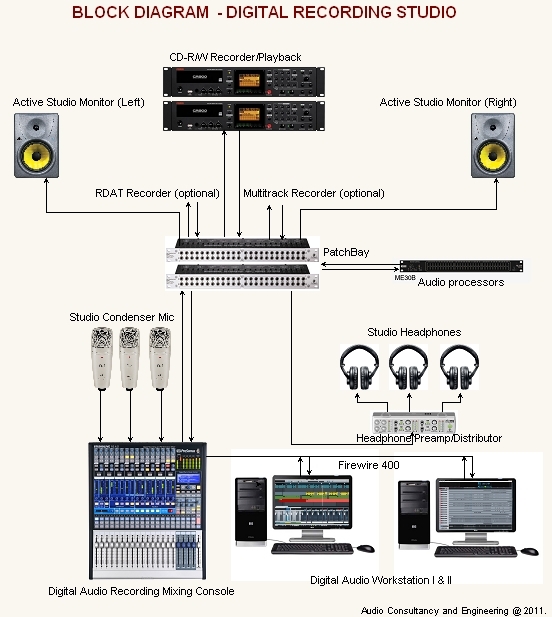 Studio equipment, distribution and transmission of Audio/ video within the building. Radio Broadcast Audio Console (mixing console either analogue or digital), minimum of 3 ( one presenter and two guest) professional broadcast microphones per studio, three (3) Professional broadcast headphones, an amplifier and one set of studio speakers, one CD/DVDs player, DAT player, radio automation. Optional: Logging machine or Hard Disk logging PC to record all broadcasts and usually this recording shall be retained or kept for at least 3 months. This is necessary if there is a public complaint or dispute or other matter concerning the broadcast. 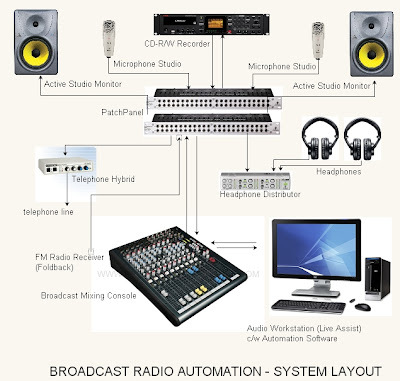 Optional: Radio Automation System – This is an additional requirement to provide audio source from the audio server (songs, jingle, station ID, commercial break, news etc) via computer system and can be programmed to run automatically throughout the days. 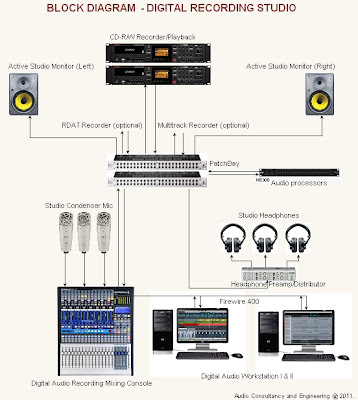 Audio server is required if you install or engaged radio automation system in your on-air studio. Main function is to provide audio source to Audio Automation Suite (Radio Automation System) and sound editor/recording suite as well as audio media storage for recorded material (usually from sound editor suite). Connectivity to the audio server is via Cat 5e or Fibre optic cable. Ideally the server or clean room should have air conditioning and security access system (preferably a dedicated room to house the servers only). It should be equipped with matching U.P.S. to provide sufficient uninterruptible power supply to the servers. The servers shall be installed in the equipment rack. Dedicated room, size varies, but shall have enough space to house the servers and others additional servers or workstation if necessary in the future (upgrading). The program output from the studio mixing console shall be routed or channeled using quality audio/video cables to the respective in-house Audio/Video equipment located inside the rooms through the ADA/VDA devices. Proper terminations of these cables with matching connectors are required. This system allows the radio program runs with or without producer in the studio. 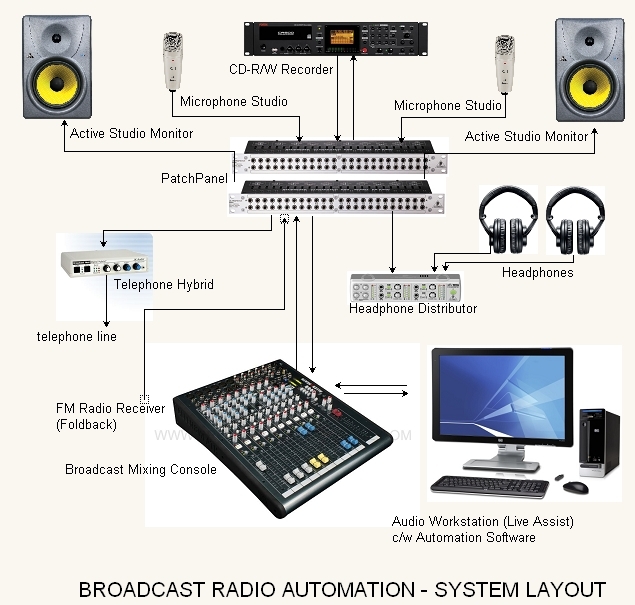 The professional of Radio Automation system can be very expensive (few hundred thousand ringgit). However a reasonably priced Radio Automation can be purchased via the internet. The system however shall be installed by professional broadcast personnel to integrate with the existing radio broadcast equipment. Most radio automation is able to stream the audio to the internet (online audio streaming). SMS facilities (optional): This is quite common nowadays where the station is able to accept sms massages from the listener. This facility can be provided by local SMS provider. Email address for requests/audience feedback (preferably with internet link in studio). To broadcast your program (radio output), you need to install radio FM transmitter, a limiter and FM omni-directional antenna (aerial) to broadcast the program to nearby fm receiver (FM Radio). The transmission coverage area will be determined by the radiate output power of the transmitter and the type of antenna used as well as the placement of the antenna (the higher above ground level, the further the signal will travel). The higher the power of the transmitter the wider the coverage or the further the station can be heard. The transmitter output power will determine the type of license issued by the government authority, in this case, the MCMC. A lot of equipment is required yet at the same time, it's not such a huge amount that a community could not set up their own radio station if they wanted. The most difficult thing would probably be getting the broadcast license. Did not know setting up community radio station was that easy. Thanks for sharing. thanks for sharing. very clear and easy to follow. Thank you guys for all your comment. Appreciate it very much. Glad you benefit from this simple info.